We live with my mother-in-law right now, and Sunday evenings is when we all eat dinner together. My husband likes to cook, and it’s always delicious…but tonight he actually did a themed dinner! 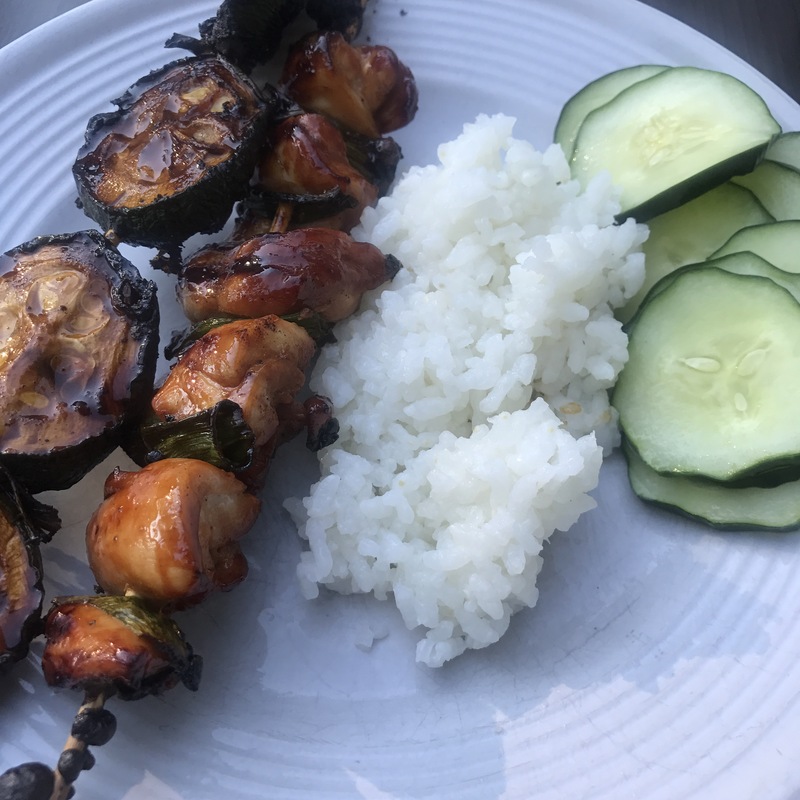 Yakitori, rice, quick salt pickles. Served with sake and lemon water. We ate outside, one of the lovely bonuses of summertime. There’s something special about fresh air, good food, and being with family. I love that he takes the time to make these special Sunday meals. It’s his only full day off from work, so we cherish it. What kind of family rituals do you enjoy?